The autumn is leaving space for the winter. 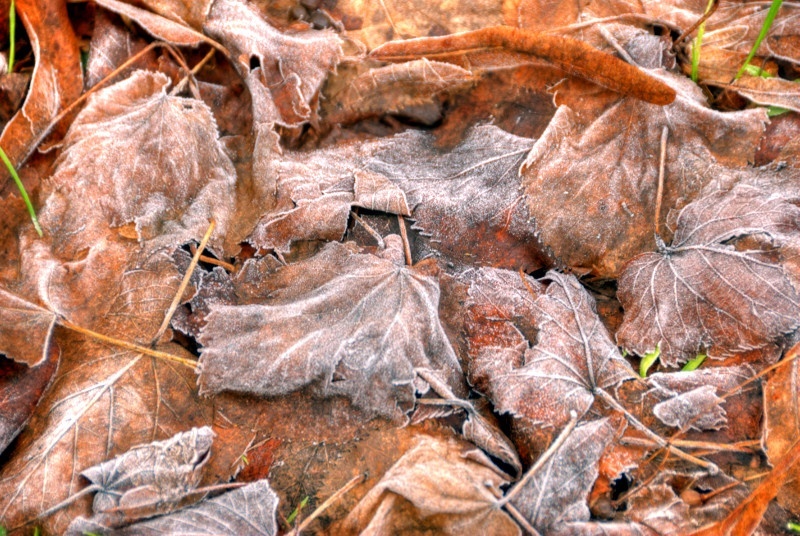 One of the signs of this period is the little frost you can find over a carpet of leafs in a public garden. Of course you need to wake up early in the morning to take this kind of pictures, because the frost is very delicate, and it’s quickly melted by the normal temperature of the period. This entry was posted in Color, Landscape and tagged autumn, botanical, bright, brown, close, close-up, closeup, cold, colorful, cover, details, fall, freeze, frost, frosty, frozen, graphic, HDR, ice, leaf, leaves, macro, morning, natural, nature, outdoor, picture, plant, plants, red, seasonal, seasons, shape, signs, texture, winter. Bookmark the permalink. wonderfull photo. What colors! Very good! Great textures and colors, a very atmospheric shot, I really like it! The winter is coming. Very nice! Paintings alike:) – Lovely depiction!